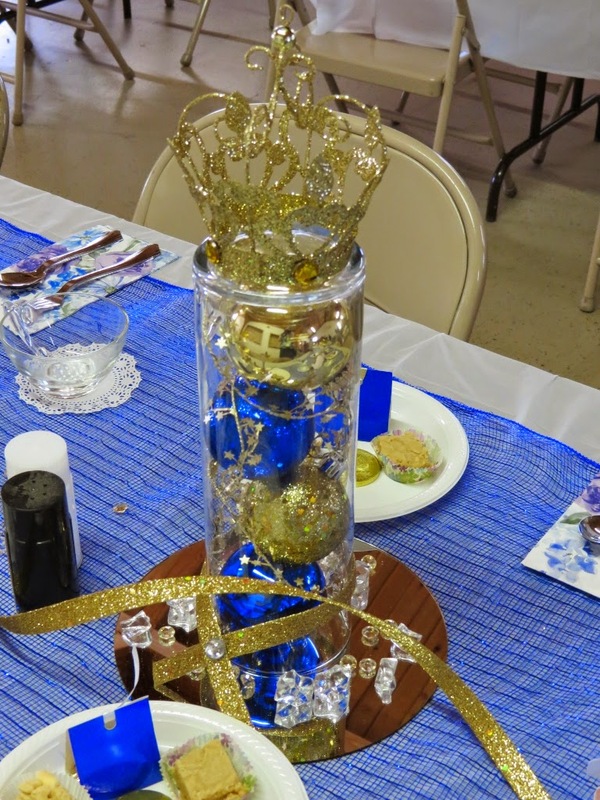 Instead of doing the typical pink princess party, we chose royal blue and gold. 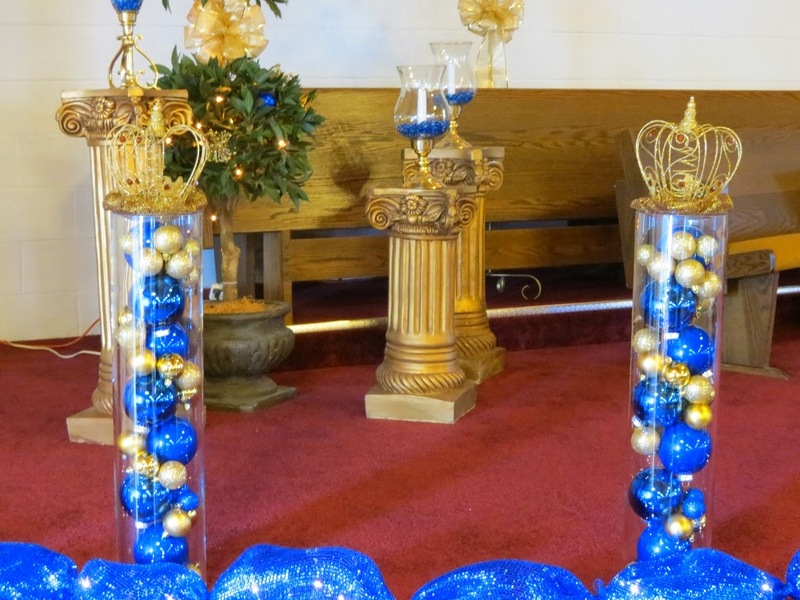 We were blessed beyond measure that these are the most popular Christmas colors this season. The crowns - they're tree toppers! And the towers are all filled with ornaments, lights and garland. 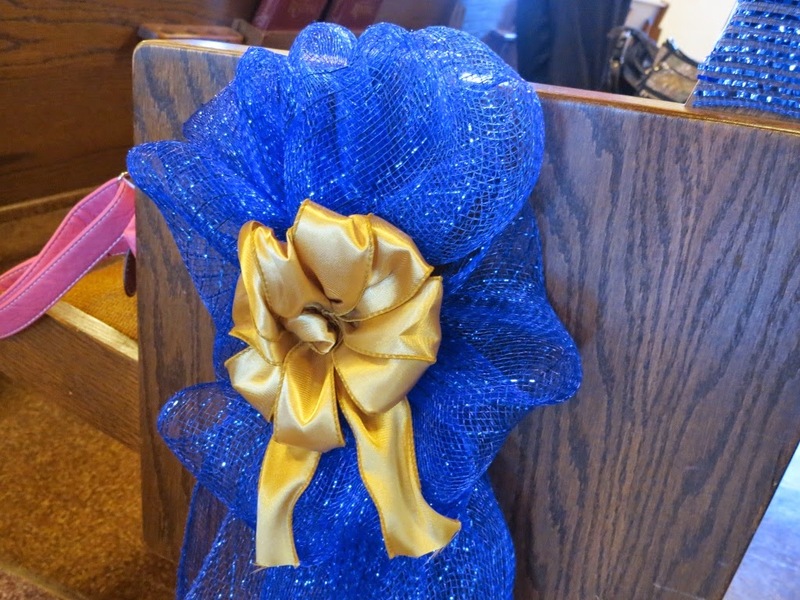 There's a woman in our church who is incredibly talented with mesh, and she volunteered to make all of the pew bows, plus several for the platform. They turned out amazing! 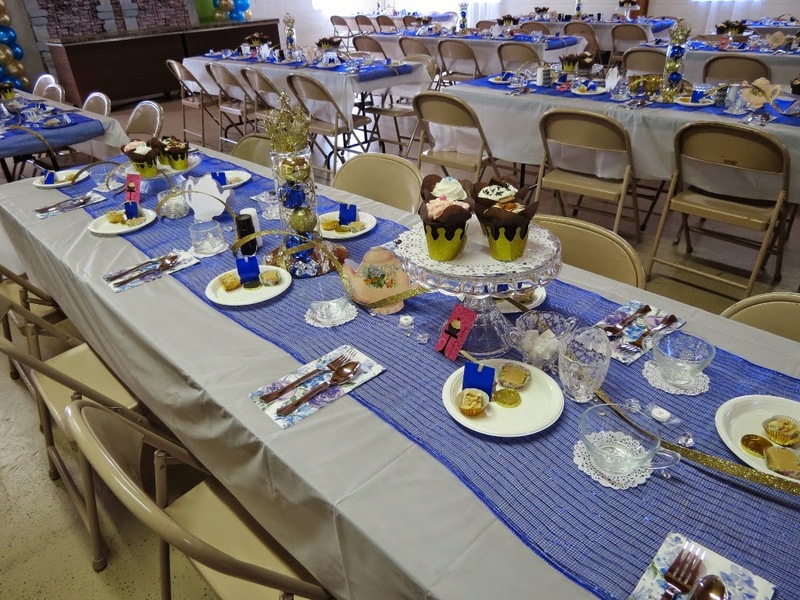 Our Saturday meal was a real ladies' tea. 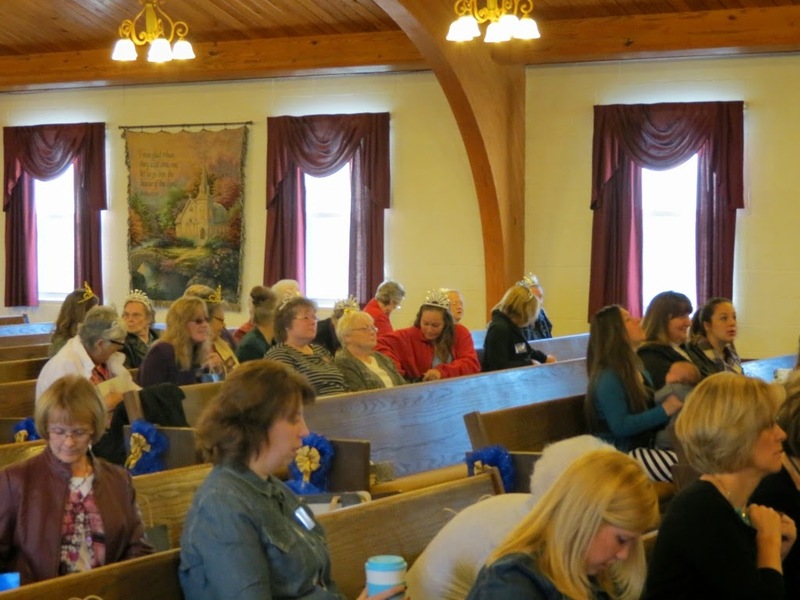 Our men were wonderful to serve us, and the room looked incredible. 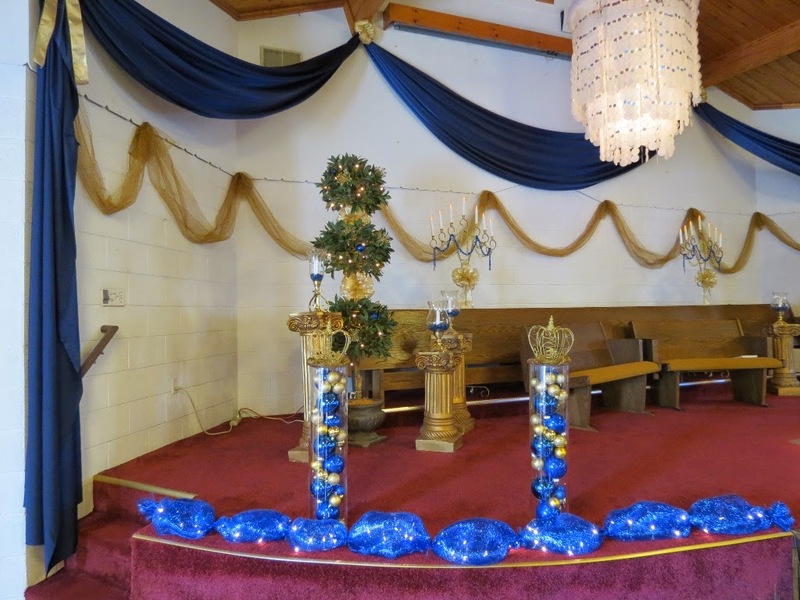 We used the same decorations from the sanctuary, just in miniature. 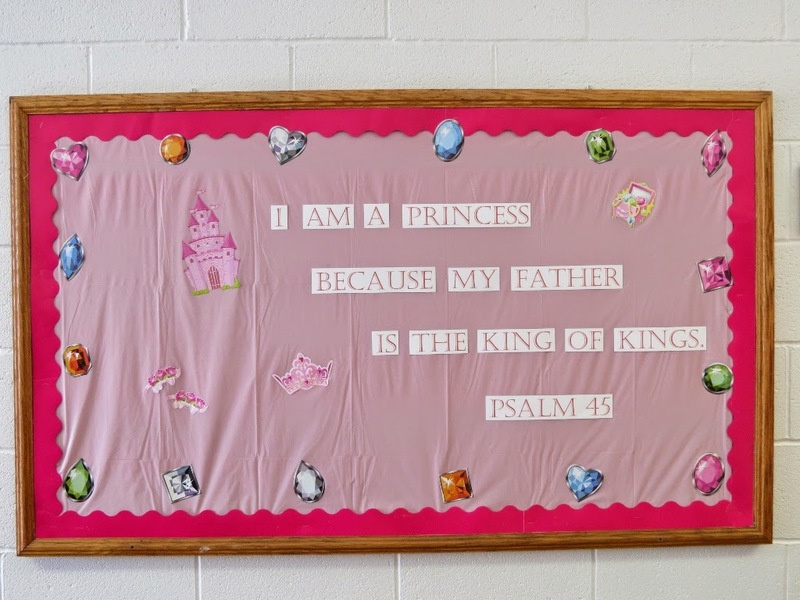 I'm not totally sure, but I don't think we could have added more sparkle if we'd tried. And believe me, we did. 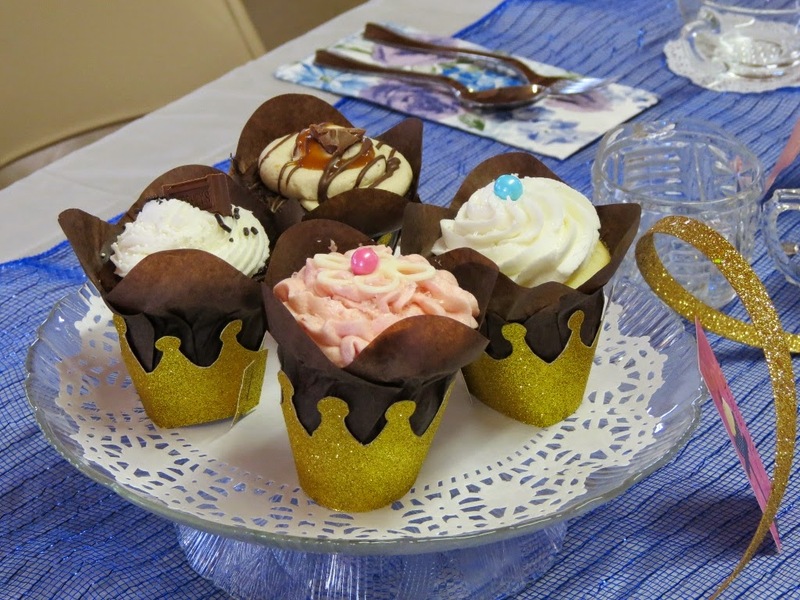 Blue and gold and sparkles, right down to the cupcake wrappers.